Today’s wedding fashion world gives us various trends in Wedding Dresses. There are gowns with sweetheart neck, with no straps, halter or square neckline, as well as backless or off the shoulder tailoring. And frankly speaking, when it comes to the task what to wear under wedding dress, you may get easily confused. Want To Know What To Wear Under Wedding Dress? The choice of wedding lingerie include three criteria: your figure, the type of dress you are going to wear and your own taste. Therefore, you should know your measurements and personal preferences to not go wrong. If you have chosen a dress with a deep neckline or open shoulders, a bra with patterned ribbons is probably not the best option here. In this case, you should go with some convertible bra with detachable straps. However, it shall have a rigid construction to support the breast well. If you have a curvy body shape, you can purchase wedding undergarment with silicone inserts at the edges. They better fix on the skin and will not visually fill you. The first thing you do is you choose perfect bridal lingerie just after you have bought a Wedding Dress. Whatever type of lingerie you go with, first of all, it must offer an ideal combination of comfort and support. Since you are going to wearyour Wedding Dress undergarments all day long,you should bet not only on the design of a bridal undergarment but also on its quality and fabric. There is one unspoken rule saying that «a wedding lingerie should not be noticeable». For your big day, it is the best to choose a simple wedding undergarment. If you want to surprise the groom with a beautiful bridal undergarment, you can buy it in advance to try it on and make sure it hugs you perfectly. Otherwise, it will be not enough time to return it and to pick up other, more suitable option. The classic beaded gown has been the choice of many a well-dressed mother-of-the-bride or mother-of-the-groom, but finding a beaded dress with appropriate level of beading and sequined detail that won’t compete for the spotlight, has sometimes been a tricky task. Enter the Mothers’Collection at BHLDN, which features the most elegant and tasteful beaded and sequined gowns for mothers. With these gowns, one can choose from delicate touches of beaded or sequined lace, hand-beaded bodices that contrast beautifully with smooth satin skirts, or full-length beaded dresses that sparkle from head-to-toe in chic and understated metallic hues. This gorgeous collection allows you to select the right amount of sparkle, beading, or sequins for a dazzling mother-of-the-bride gown that allows its wearer to shine! Emeline Dress. 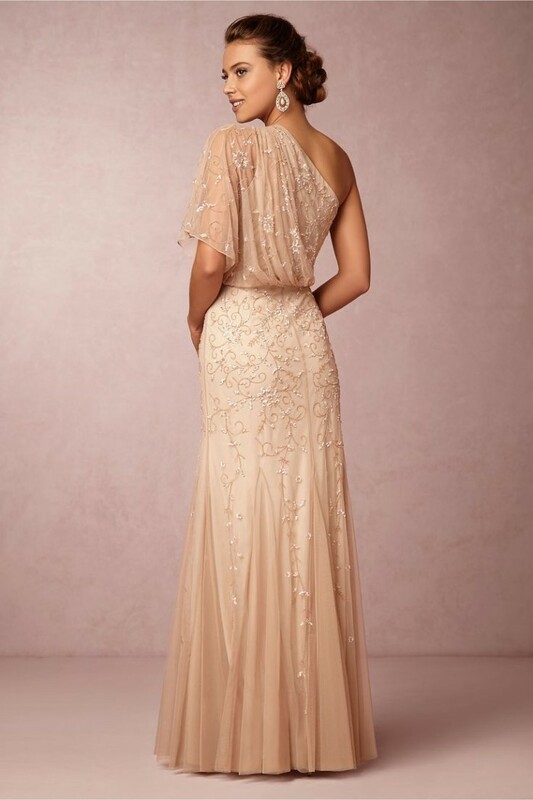 There is no question gold gowns are having a moment, and this champagne gown called Emeline, with gold sequins and beads, is a beautiful sparkling statement gown for a mother-of-the bride! Sylvia Dress combines all-over beading and sequins with a stunning ice blue color, and a very popular detail for a mother-of-the-bride gown: long sleeves! Raquel Dress, is a one- shoulder style that presents a chic choice for mothers and for the wedding party. The blush tulle and scrolled, beaded detail give this gown a light and contemporary elegance. Veda Dress, is a classic by Tadashi Shoji, whose lace dresses and fabrications are uniquely crafted to have just the right dose of shimmer. This silver metallic lace is accented with sequins for a soft sparkle that catches the eye. Viola Dress. For those who want a little twinkle with a predominantly tailored look, Viola is it! With a soft blush color and a beautiful contrast between an ornately beaded bodice and a smooth taffeta ball gown that includes pockets, Viola is effortless elegance in a gown! Chelsea Dress. The lovely Chelsea also offers beaded touches in a refined way. The sequined lace overlay of the bodice provides interest and sparkle that contrasts beautifully with a subtly textured solid silver skirt. Claudia Dress. 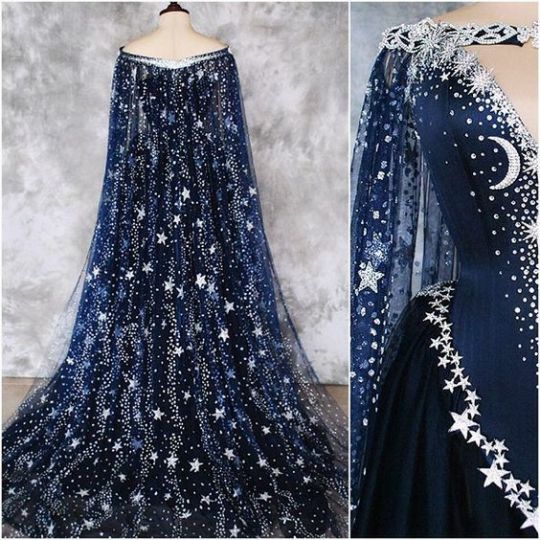 This gown is a standout for me! 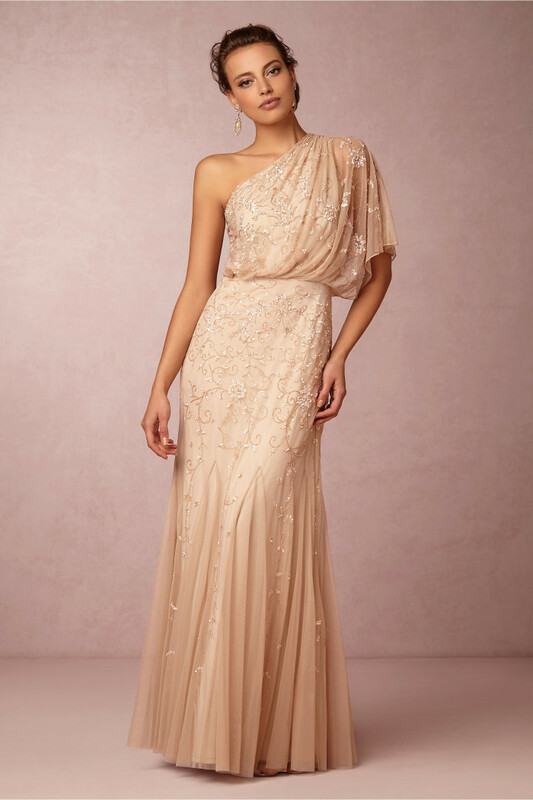 With a nod toward Art Deco styling and modern silhouettes, this beautifully neutral mauve and rose gold gown has all-over beaded detail that is sure to garner many compliments! Odette Dress. This uniquely sequined golden lace makes this gown one of the most popular gold dresses that we’ve ever featured! Azalea Dress, offers a beaded bodice, an soft shade of blue and a smooth full skirt, for a balanced and modern beaded look. See it styled here! 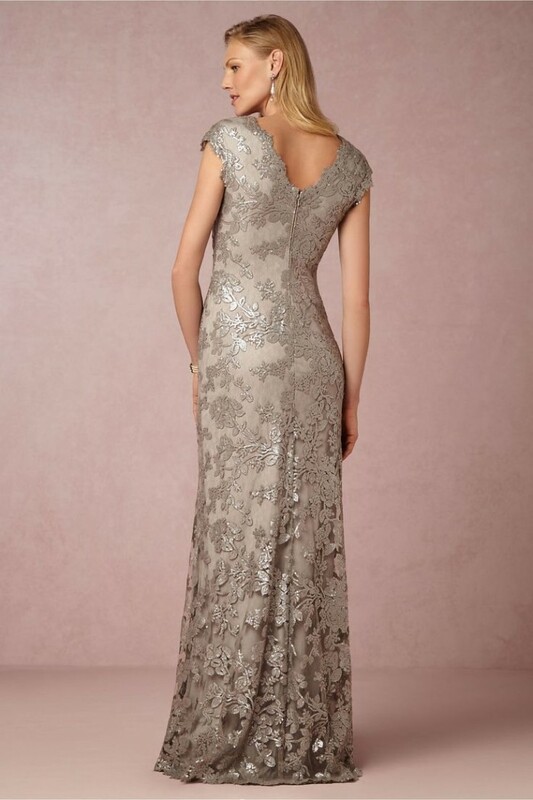 Lucille Dress, has a silver sequined and lace bodice that contrasts nicely to the floating tulle skirt of this mother-of-the-bride gown. When it comes to the Wedding Dresses, the brides always have so many inspirations to work on, from the texture to the length or design. While of course bride is the most important person to consider, but you should also take the Mother of the Bride/groom dress into account. Mother of the Bride/groom dresses should be as elegant as possible and they should compliment the bridal look. Nowadays, mothers all around the world tend to have dresses that are more nontraditional yet elegant at the same time. Here are some proper Mother of the Bride/groom dresses we recommend to make it easy for you.